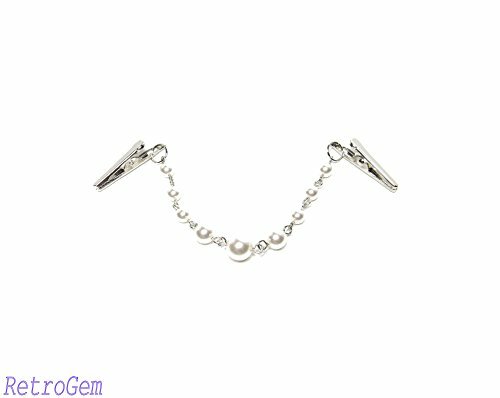 This beautiful sweater clip is made with Swarovski Elements Pearls. The silver clip measures 35mm. It will be ship in a gift-box ~ ready for gift giving. Handcrafted in the USA. Please note: Our products are designed and manufactured in our own workshop. We only used Swarovski Pearl as an ingredient in our products. This sweater clip belongs to RetroGem, not Swarovski. If you have any questions about this product by RetroGem, contact us by completing and submitting the form below. If you are looking for a specif part number, please include it with your message.